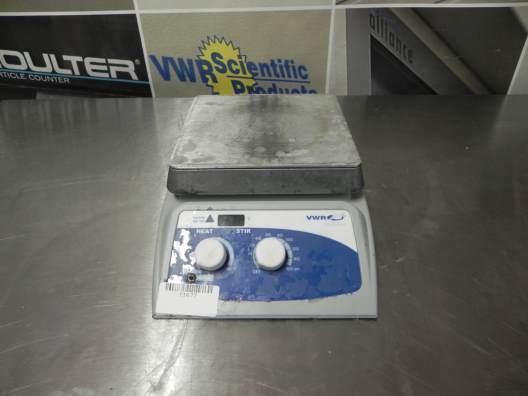 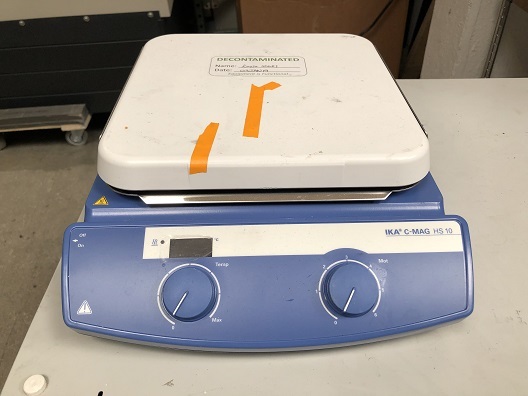 Ideal for laboratory heating and stirring applications, the VWR 725 Advanced hot plate/stirrer with a ceramic top plate. 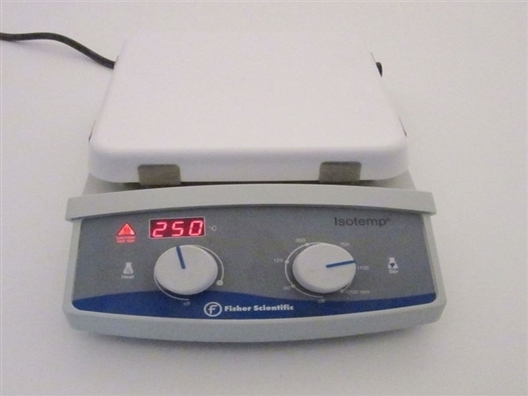 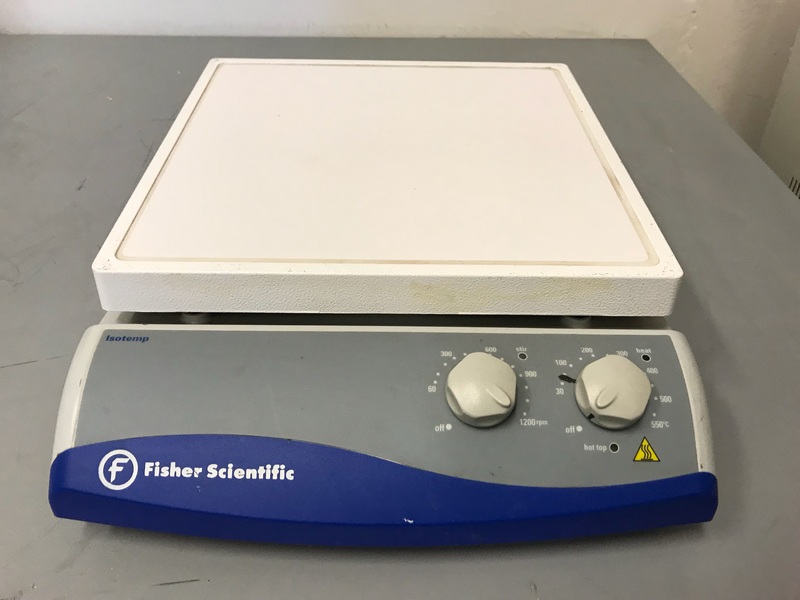 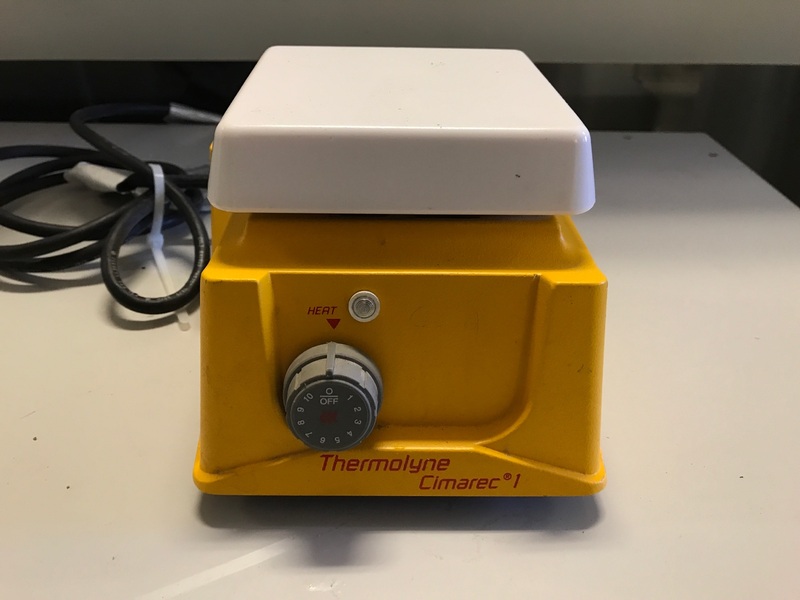 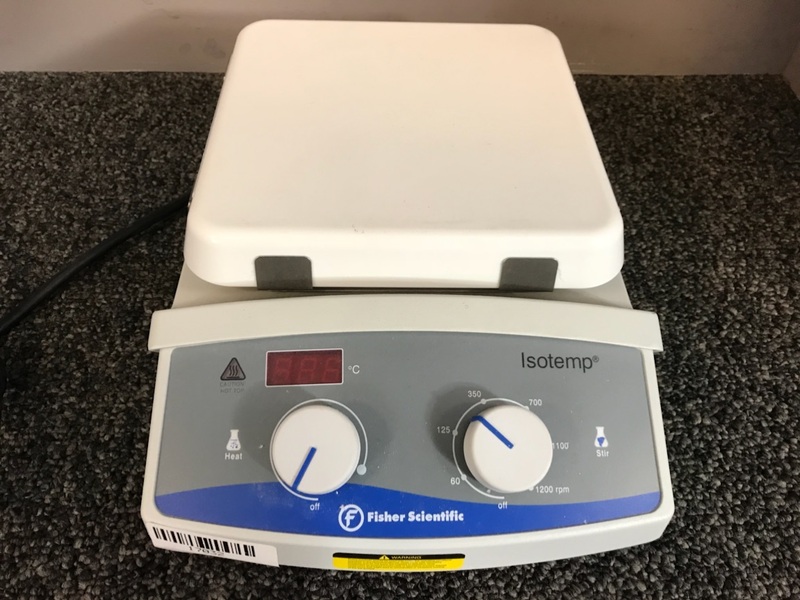 This is a magnetic stirrer with heating and ceramic heating plate which offers excellent chemical resistance. 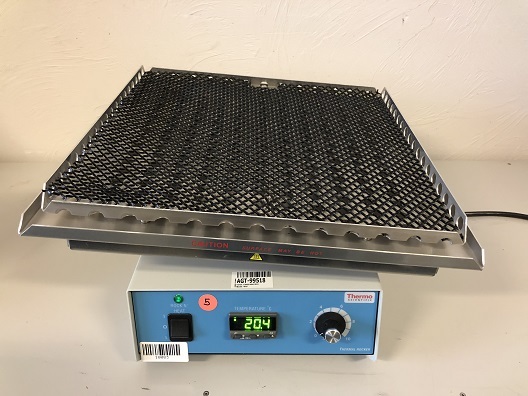 These Cimarec ceramic top plates offer high impact strength and acid and alkali resistance. 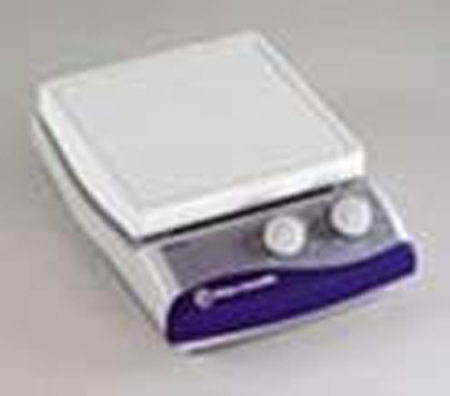 Their unsurpassed flatness ensures maximum heat transfer, and the reflective bright white color enhances visibility. 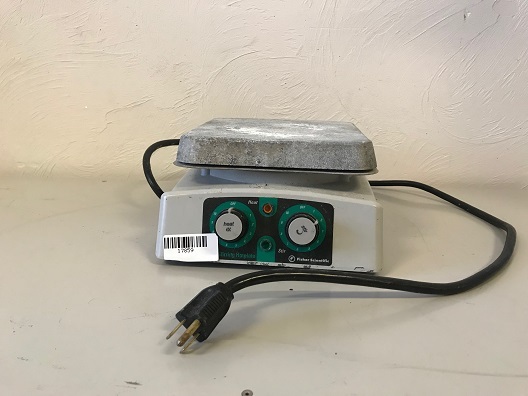 A rugged cast-aluminum body provides stability and durability, and a power indicator light is illuminated whenever power is applied to the control.